He is the only artist in the world to score a hit in the UK album charts every year since 1988, an unprecedented and unbroken 32 year span and in doing so, he has outshone everyone from Michael Jackson and Madonna to U2 and the Rolling Stones. 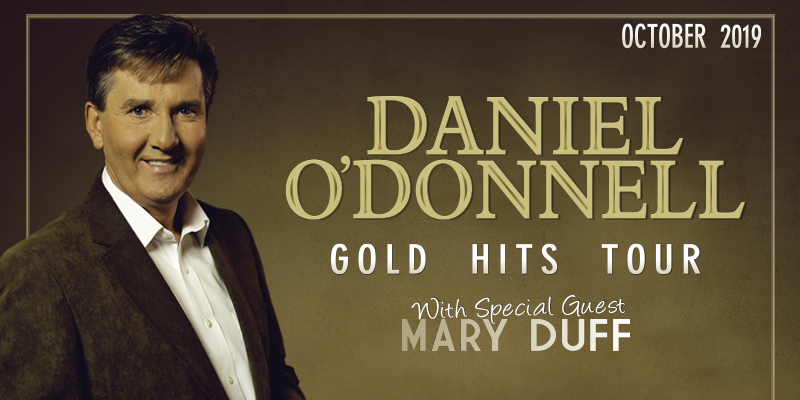 Daniel’s latest Album, “The Gold Collection“ entered the UK charts at #9, further cementing his unbroken record of chart hits. This sixty track three CD compilation features recordings from across his entire recording career and features duets with his long-term singing partner Mary Duff, along with special duets recorded with Loretta Lynn and Charley Pride.